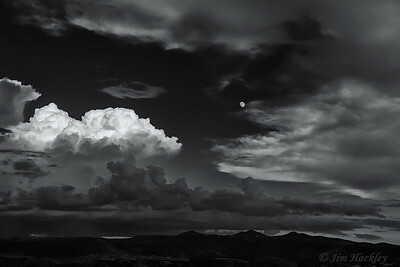 One of my favorite subjects to photograph are clouds. When I take the time to really observe clouds they are like art in motion. They will flow, swirl, create fantastic designs and then change within minutes. The shape and size of clouds are one of nature's most amazing displays that can be a wonderful experience to watch and photograph. A clearing storm at sunset can produce some amazing clouds and colors. A summer thunderstorm moves across Willow Lake with rain not far behind. I was watching a thunderstorm over Willow Lake when a small opening in the clouds let sun rays come through. This scene only lasted about 30 seconds but it was as if a portal opened up to another dimension. 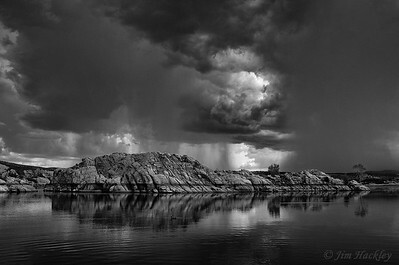 Monsoon thunderstorms form a wall of rain that move across some granite formations on the other side of Willow Lake. 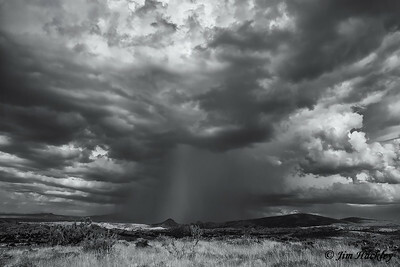 A large monsoon thunderstorm forms over Granite Mountain. 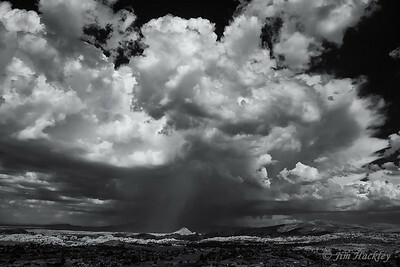 A large monsoon thunderstorm grows higher and higher over Granite Mountain. 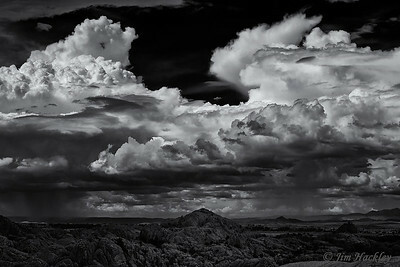 The summer monsoon storm clouds can grow into some amazing formations that can cover the entire horizon. 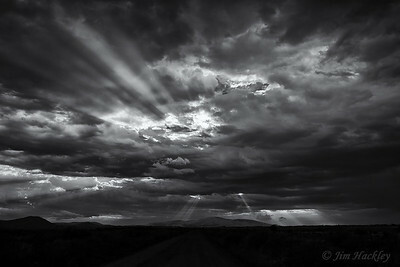 Storm clouds move over Watson Lake with just one ray of light coming through to show some of the Granite Dells. 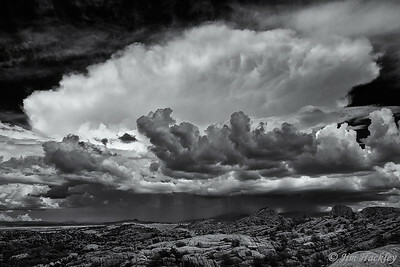 It was a day filled with wonderful cloud formations over Prescott with Thumb Butte highlighted in the distance. It is interesting to watch a thunderstorm buildup and on this occasion we had two fronts develop. The background cloud formation had scattered showers while the foreground swirled with dark clouds and no rain. An afternoon summer thunderstorm grows to fill the entire skyline. Hiking in the Granite Dells I noticed this storm front had developed into two large thunderheads. Over the next hour they just kept on getting bigger and it seemed like they were getting ready for a clash of the titans. The summer monsoon season in Arizona is one of my favorite times of the year as you get to see some impressive cloud formations. 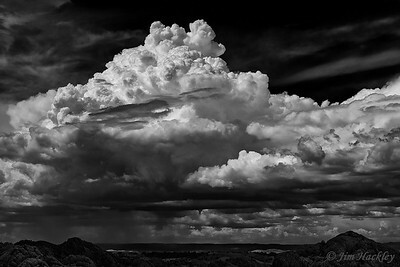 The summer monsoon season in Arizona can create some amazing thunderhead clouds that can spread across the entire horizon. Clouds are some of nature's best art forms and I never get tired of photographing and watching them. At times they are so amazing that I just sit and enjoy the show. 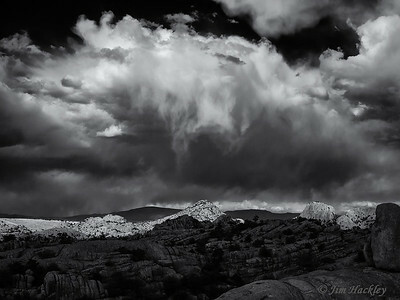 I was climbing along some of my favorite ridges in the Granite Dells when an afternoon summer storm produced an amazing display of clouds that were constantly changing shape. Although the storm was all around me I felt completely safe on top of the ridge and at times would just sit and take it all in. 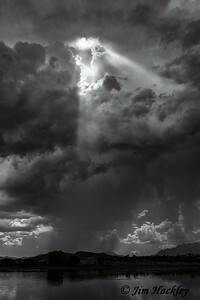 The summer monsoon rain can bring in some large thunderstorms that can develop into some amazing scenes. The summer monsoon rain can bring in some large thunderstorms that can be interesting to watch. This scene kind of reminded me of an alien movie. 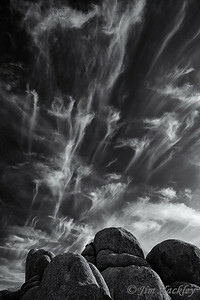 I was hiking around Watson Lake when I turned around to see these fantastic clouds sweeping across the sky. Whenever I see clouds like this is it looks like someone started to paint the sky. Nothing like being at the right place at the right time. 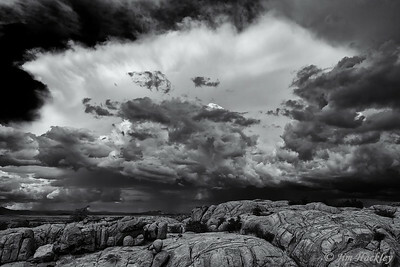 I was hiking in the Granite Dells during a storm when the clouds opened up to put on a wonderful light show. 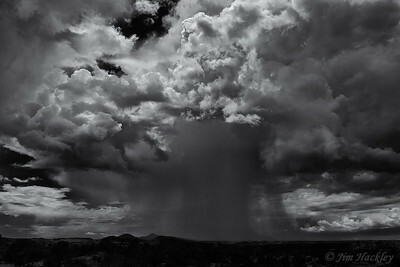 A large storm cell moving over the Granite Dells area of Prescott. A large storm front moving over the Granite Dells area of Prescott. 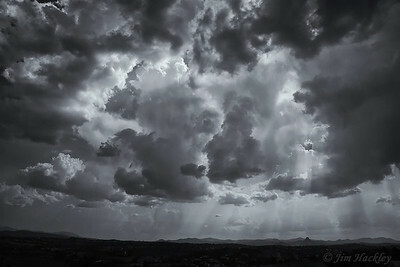 Late afternoon storm clouds form over Prescott displaying their wonderful patterns. 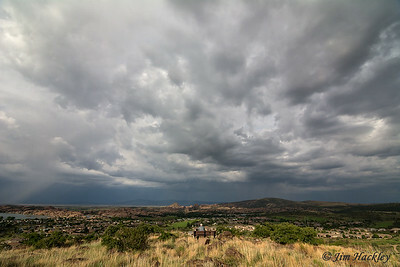 Storm clouds build up over Thumb Butte area of Prescott. 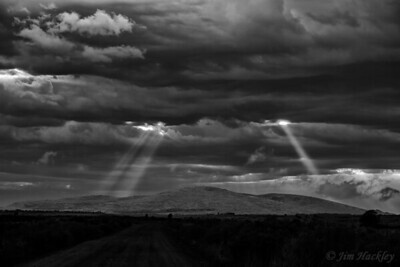 A clearing storm over Granite mountain. The sun comes out after a passing storm to provide a wonderful view.